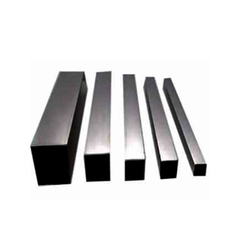 Pioneers in the industry, we offer stainless steel rectangular tubes from India. We are engaged in providing our reputed clients with superior quality stainless steel rectangular tubes. Our offered stainless steel rectangular tubes are designed and developed using high-grade sturdy steel as the raw material to ensure high performance and long term usage. Moreover, these tubes are widely used in industrial maintenance, agricultural implements, transportation equipment, ornamental, etc.